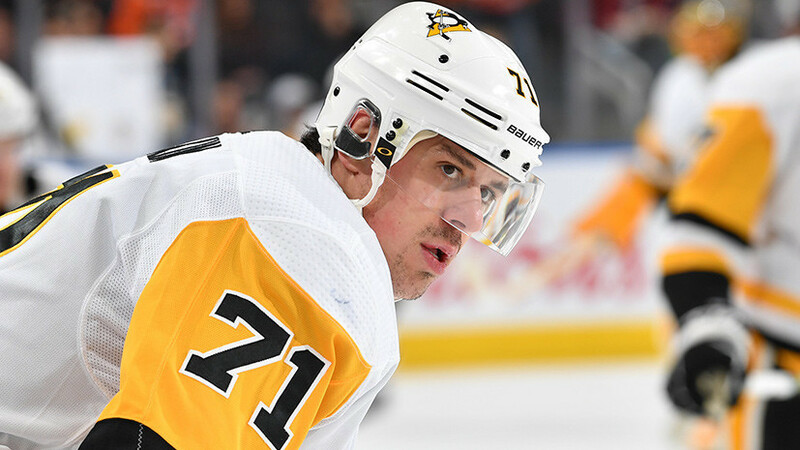 Forward "Pittsburgh Penguins" Eugene Malkin was removed before the end of the match of the NHL regular season for the power reception against the striker "Washington Capitals" TJ Oshi. According to expert Bob Mackenzie, the Russian deliberately hit his opponent with his shoulder in the head and deserved strict punishment, and NBC Sports columnist Chuck Gormley called on Malkin to write a 10-match suspension. At the same time, other journalists expressed the opinion that Oshi himself was looking for contact and specifically crashed into a three-time Stanley Cup winner. Hockey has always been considered one of the most uncompromising sports, in which athletes often resort to extremely hard methods. But some moments stand out so much from the general mass that they become the subject of discussion for the entire hockey community. Moreover, especially violent reactions are caused by episodes in which the superstars are participants. One of these incidents occurred during the NHL regular season match between the Washington Capitals and the Pittsburgh Penguins. The battle of two teams of the Eastern Conference has long been one of the main league fights, because over the past three years, these teams have raised the Stanley Cup over their heads. In the season 2017/18, hockey players from the capital of the United States won their first trophy in the history, and before that, the players of the club from Pennsylvania had excelled twice. The current championship is not so good for both teams. “Washington” alternates victories with defeats and occupies only the sixth line in the conference standings, and “Pittsburgh” approached the match with the Capitals, having been defeated in four meetings in a row. Perhaps because of the plight of the teams and the need to win, passions began to flare up even before the starting whistle. During the warm-up, the captain of the “capital”, Alexander Ovechkin, threw Yevgeny Malkin into his counterpart with an ice crumb, which one of the leaders of the “penguins” clearly did not like. However, universal surprise caused an episode that occurred at the very beginning of the third period. With the score 1: 1, Malkin played rather toughly against TJ Oshi, for which he was removed before the end of the meeting. The Russian hockey player headed the attack of his team in the majority, when the forward of the Capitals rushed to him to intercept and hit the shoulder. After the collision, the American spun in flight, after which he fell on the ice. After consulting for some time, the arbitrator discharged Yevgeny a penalty match and removed it from the ice to the under-stands. It is noteworthy that it was the victim who eventually became the author of the winning goal and extended the Pittsburgh lose-lose series to five games. After the match, Oshi admitted that he had a suspicion of concussion, but it was not confirmed. According to him, the actions of Malkin in this episode are quite explicable. “Malkin caught me in power, that's all. Probably, he thought that I was going to contact, and decided to answer it. I do it all the time. But I did not expect him to do so in the majority. Was this hit (power reception. - RT ) dirty? This is not my problem. We won, and I don’t care what happens to Malkin, ”Washington Post quoted Oshi as saying. Washington's head coach Todd Rearden agreed with his hockey player. According to him, the National Hockey League continues to vigorously fight with such manifestations of cruelty. “The League is trying to minimize the number of such episodes. We know this best of all in the NHL, ”the specialist said. At the same time, Pittsburgh mentor Mike Sullivan did not comment on the actions of the Russians, but expressed the opinion that Malkin did not deserve an additional disciplinary penalty for his actions against Oshi. “What we think (about this incident. - RT ) does not matter. I do not think that additional punishment will be applied to him. I will not say what the judge said after Malkin was removed, ”the Pens Inside Scoop mentor quotes Penguins. As often happens in such episodes, the main reason for discussion is the possible desire of Malkin to injure his opponent. On the repetition, it is clearly visible that Eugene himself did not make contact, but only put out his shoulder when he saw Oshi approaching him. But if some decided that the Russian was only defending himself against a possible forceful reception and did not want to initiate contact with an American, then others accused him of trying to send his opponent to the infirmary. As NBC Sports commentators said during the broadcast, the Pittsburgh striker could have avoided contact, but deliberately did not. “If the NHL wants to send a message to the players, then Malkin deserves a 10-match disqualification. The situation did not require an elbow to the head, ”journalist Chuck Gormley supported his NBC colleague. A similar opinion is shared by the well-known North American expert Bob McKenzie. According to him, Malkin was not able to use legal force against Oshi, because he was thinking about how to gain a foothold in the opponent's zone. “Attack of a player who did not own the puck. A blow to the head. Make your choice. Personally, I liked the decision of the judges during the match. Malkin himself will probably argue and say that he was just preparing for a forceful reception, and Oshi rolled under him. If the disciplinary department agrees with him, there will be no punishment. An interesting moment, it will be curious to see how this will end, ”wrote MacKenzie on his official Twitter page. However, not all sports experts in the United States and Canada unanimously took the side of Oshi in this episode. So, ESPN journalist John Buchigross said that the “Washington” forward deliberately hit his head on his counterpart’s elbow, provoking the removal of the latter. “TJ is an honest and sensible guy. He will never become a politician. Malkin was preparing for a forceful reception, he instinctively slowed down .., and Oshi bumped his face into his rising shoulder, ”Buchigross said. This opinion is shared by The Athletic Toronto columnist Justin Byrne. In his opinion, the arbitrator made an overly harsh decision, removing Malkin before the end of the meeting. “The game is fast, and contact can always turn into something dangerous. I did not see intentional harm, and repetition does not help to understand. Oshi himself was looking for a contact, and Malkin’s elbow was not much exposed, ”Byrne wrote on Twitter.